The Urban Waters Learning Network is a peer-to-peer network for sharing practical on-the-ground experiences in order to improve urban waterways and revitalize the neighborhoods around them. 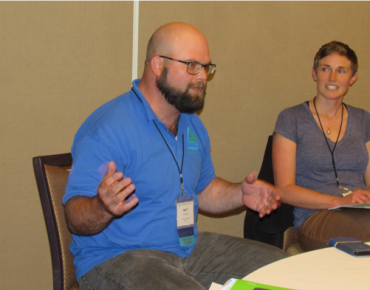 Groundwork USA and River Network staff coordinate the Learning Network, providing support and opportunities for members to share successes, challenges, and technical resources. The Urban Waters Learning Network is funded by the US EPA Office of Water. Why Join the Urban Waters Learning Network? Receive the Urban Waters Learning Network (UWLN) quarterly e-newsletter and periodic updates to keep you current on what’s happening in urban waters communities, including training and funding opportunities, blog posts, new resources, and other items posted on the UWLN website. Sign up for e-News & Updates on the UWLN website. 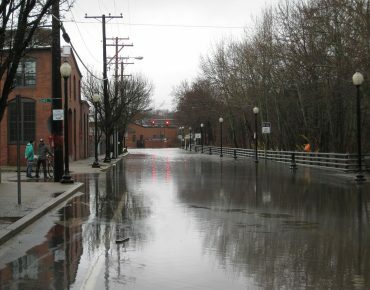 Share information with, and ask for help from, on-the-ground practitioners, past and present EPA Urban Waters Small Grant recipients, and those whose primary focus is operations and management of urban waters projects (Includes UWLN e-Newsletter & Updates). Sign up for Online Peer Communications on the UWLN website. Parts of the Blue River cover a 17-mile stretch through Kansas City. This stretch is highly urbanized, running through residential, commercial, and industrial areas. 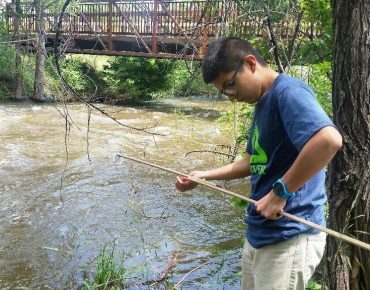 In 2014, the Blue River Watershed Association received $59,940 from EPA’s Urban Waters Program to work with its partner agencies to engage urban middle school students in water quality monitoring studies, data collection, and community presentations. The Citizen-led Monitoring of Urban Wetland Restoration in New Orleans creates active wetland advocates by placing technology into community members’ hands, especially in those of low-income Lake Pontchartrain residents. Public Lab provides training, education and support, focusing on locally-relevant outcomes that emphasize human capacity and understanding. The Duwamish River is a 5.5 mile long Superfund site that flows through Seattle’s Duwamish Valley—a highly developed urban and industrial center south of downtown. Most affected by the contamination are Seattle’s most marginalized and impoverished communities – low-income, homeless residents, immigrants and tribal fishing families. In 2012, Ellerbe Creek Watershed Association received a $60,000 EPA Urban Waters Small Grant to demonstrate that integrating green infrastructure into the urban landscape can begin to restore a hydrologic balance within Durham’s Ellerbe Creek. The project has helped quantify the extent to which green infrastructure can reduce excessive amounts of water and remove pollutants, while helping the City of Durham comply with regulations to clean up Falls Lake Reservoir. Through the Baltimore Urban Waters Partnership, waterways are being cleaned up, communities are reconnecting with their urban waters, and abandoned lots are being transformed for community benefit. Youth from different areas in Los Angeles are creating positive change along the LA River through the River Ambassador program, a youth leadership and education program of the Mountains Recreation and Conservation Authority. The program is designed to connect underserved youth with their river and to involve the teachers at each of the high schools participating in the program. Celebrating River Network’s 25th Anniversary with a compilation of 25 stories from River Network partners detailing successes and lessons learned.